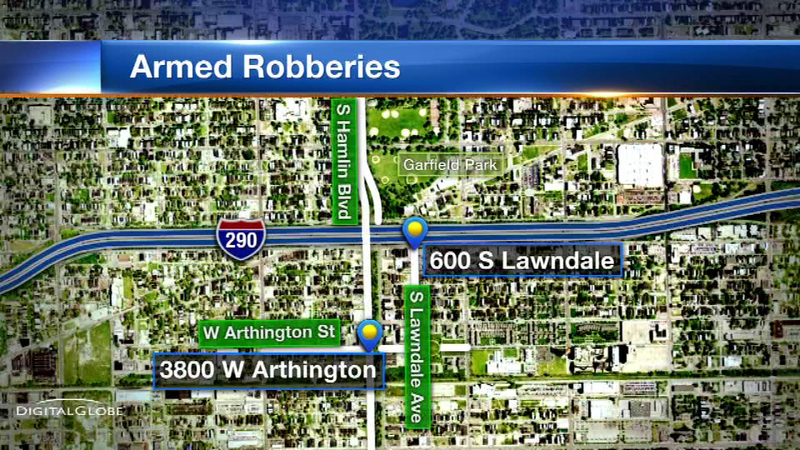 CHICAGO (WLS) -- Chicago police are warning residents about armed robberies targeting people sitting in parked cars on Chicago's West Side. The most recent incident happened last Friday in the 3800-block of W. Arthington. The other happened last Wednesday in the 600-block of S. Lawndale. Police said the thieves carried guns and demanded money and cell phones. In one robbery, the men took off in a turquoise vehicle.